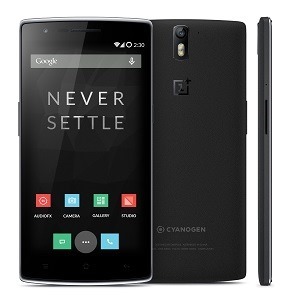 Since officially announcing the OnePlus One late last month, OnePlus has found that people were far more interested in the 64GB version of its phone than the smaller, 16GB option. This has led the company to re-evaluate its priorities. Now instead of rushing to get the 16GB Silk White option out as early as possible, it is pushing production back in favor of getting the 64GB Sandstone Black model out sooner. With any luck, the device should now be available by the end of this month (instead of sometime in June, the company's previous goal). This isn't all that surprising. A $299 smartphone that appears to be as powerful, and in some areas moreso, than any other device on the market is going to turn heads. Being able to pick up a variant with four (seriously, four) times the storage space for just $50 extra is going to turn even more. Yet even if the device does make an initial appearance later this month, there's still the chance most people will have to wait a bit longer to claim one of their own.